With the real estate market in India booming to a whopping $100 billion this year and expected to grow at 11% every year, it’s no surprise that there are many Internet companies vouching for the profit from this cash cow. The key on Internet is search, that’s been proven and accepted by everyone with the shining success of search giant Google, Inc. But Google cannot search properties as we want to search them; there lies the plethora of real estate listing providers. Some are specialized in it, like India Property, Makaan.com, 99acres and some have it as a sub-business, like Olx, Quikr. Now that you have some idea of the market, add to this the mobile boom these days and you can add 2+2 to understand that people want to search real estate on their mobile devices as well. The problem that most people face in searching the right home is the difference between what the property listing says and what they see when they actually go there to get the deal done. Here Housing.com has made its name in actually giving listing and pictures that are authentic. And the same is reflected in its slick Android app. 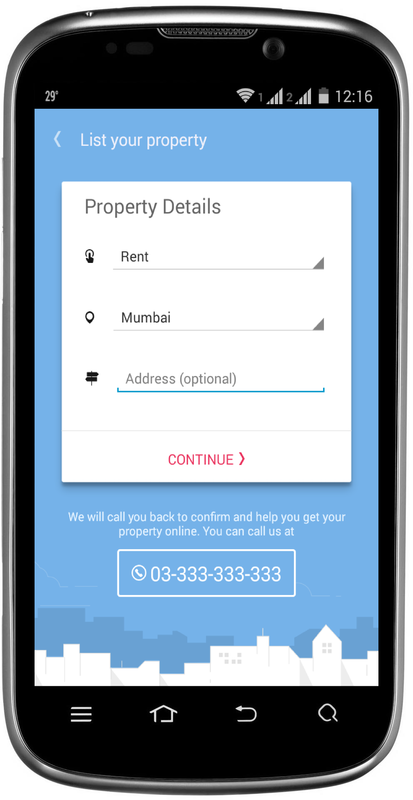 Housing property search app is about 5 MB, which is decent compared to the 10 MB app size of India Property Android app. This is important because you are on the move and you need to save on your mobile Internet charges. 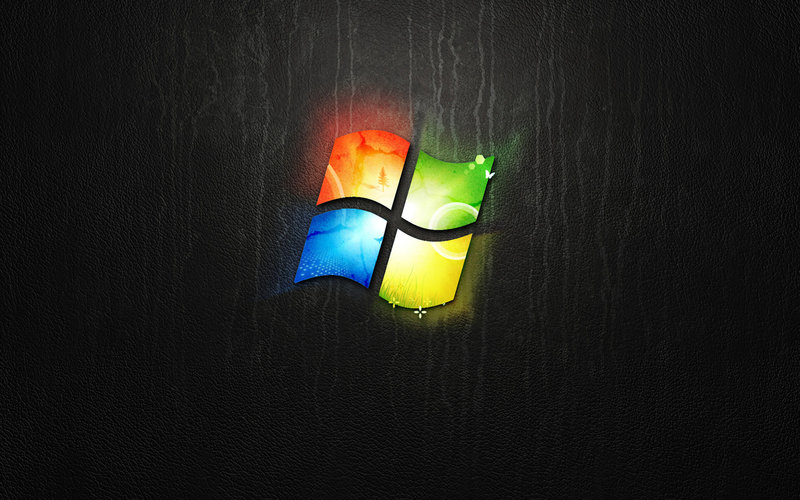 The splash screen, that’s the pretty image that’s momentarily displayed when you start the app, is quite appealing. 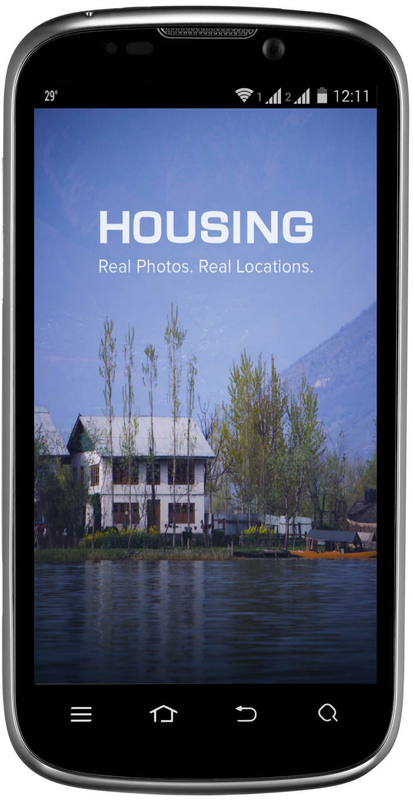 Housing.com app promises to provide real photos of real locations. And you would start believing it from the instant list that populates right after the pretty tagline image. If your location settings are on, listing of nearby homes for rent will come as a list with 2 key highlights in each listing: picture and price. Really, that’s all that matters when searching a house for rent, isn’t it? And clicking on a listing provides just that, raw info to help you make a purchase decision on the house. The interface is quite unassuming, fast, simple and effective. 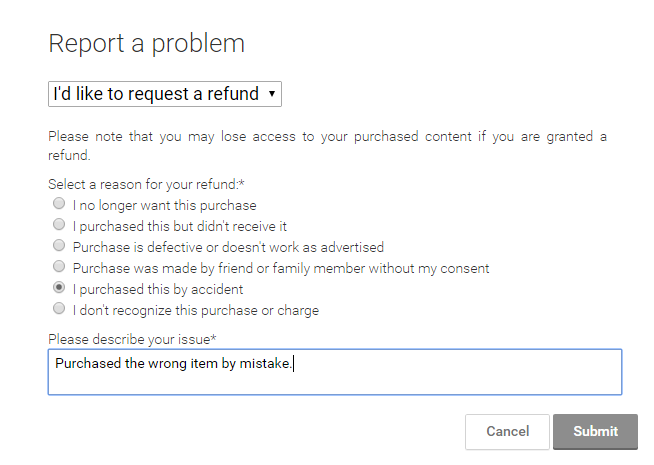 It does not beat around the bush like other apps do (eg. 99acres, India Property). Some apps even ask you to login and do not proceed unless you do so (eg. Makaan.com). I bet the user experience designers of Housing.com have worked hard to make this interface. And they know that not all users are searching for a rental flat. Some people do buy homes, and students of India stay in PG. Thus, a standard 3-bar navicon side menu is available for use. 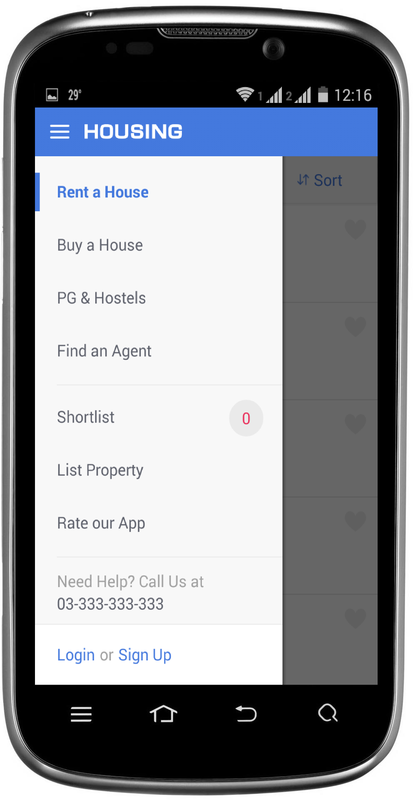 The homes that you favorite on the homes’ pages are also available via the side menu and so is the option to make your own listing and to login. A support helpline number is also given right in the side menu. 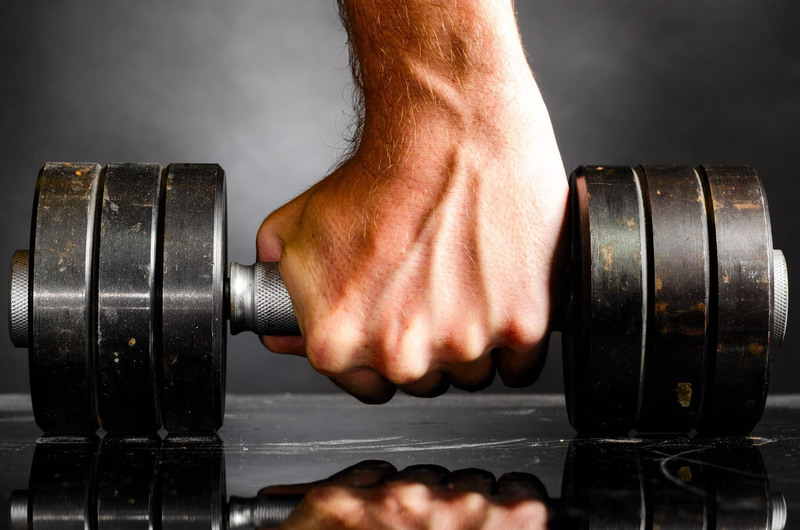 The app’s simplicity does not mean it does not have options to narrow down your search results. 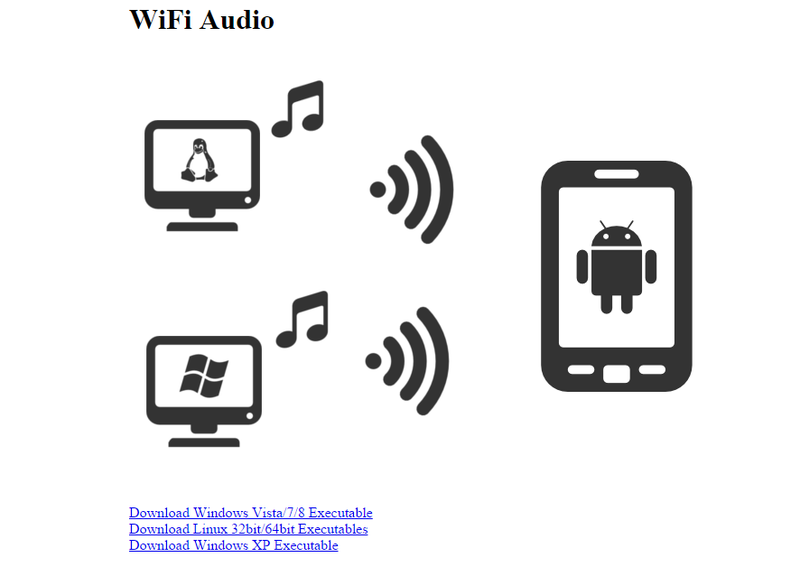 In-fact it has lot many search refinement parameters that other apps in its class lack. The feather in the cap of Housing.com website and app is its circular region search. The Housing.com website allows you to search on the map by drawing a circle. The back-end of the map is Google Maps, so you are in familiar territory on your Android phone. 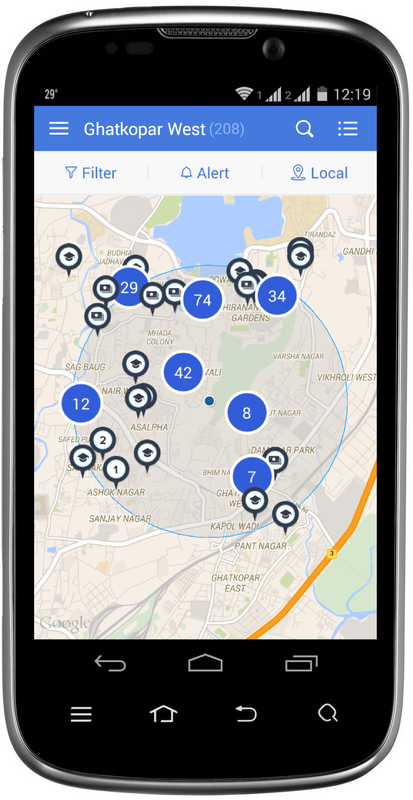 The app does not allow you to draw a circle, but you can hold and click anywhere on the map and a circular region on a few kilometers is created and houses are listed in it with black numbered highlights based on your search criteria (1 for 1 BHK, 2 for 2 BHK, etc). A carousel is presented to view through and to click any house in it for details. The filtering options can happen on the basis of BHKs, Price Range, Bathrooms’ count, Property Type (Apartment, Penthouse, etc. ), Lease Type, Furnishing Type, Date Added, Listed By, Society Amenities, Flat Amenities, ACs, TVs, Cupboards, and Beds. Frankly this is more than enough info to choose a house and any normal person would be spoiled with choice. 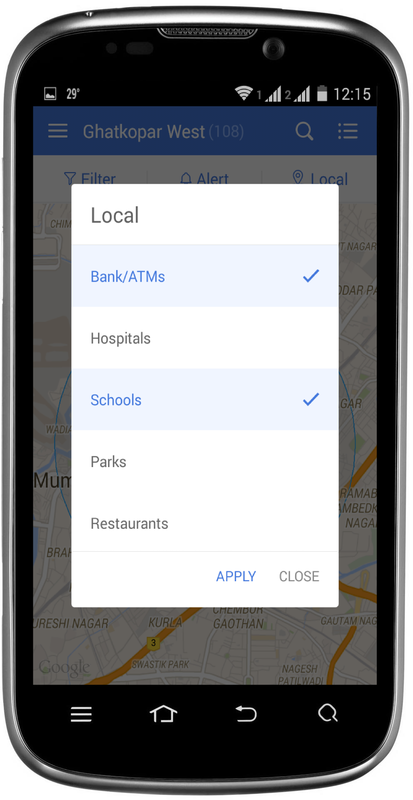 The local button gives the info of local amenities on the basis of the local facilities, which are 5 in number: Bank/ATMs, Hospitals, Schools, Parks, and Restaurants. This information is critical to a family moving into a new house. The beauty of this is that the results are displayed on the map along with relevant icons to indicate each amenity. The best part is that the filters are remembered by the app the next time you return to the app, even after closing it. The alerts option gives an easy way to set daily and weekly alerts based on the search that you are doing. Of course a sign-up and login is required to do set these alerts. It comes as no surprise then that Tata Value Homes has partnered with Housing.com to provide its pre-launch of value homes. Housing.com is a trustworthy service and the app is quite easy to use. 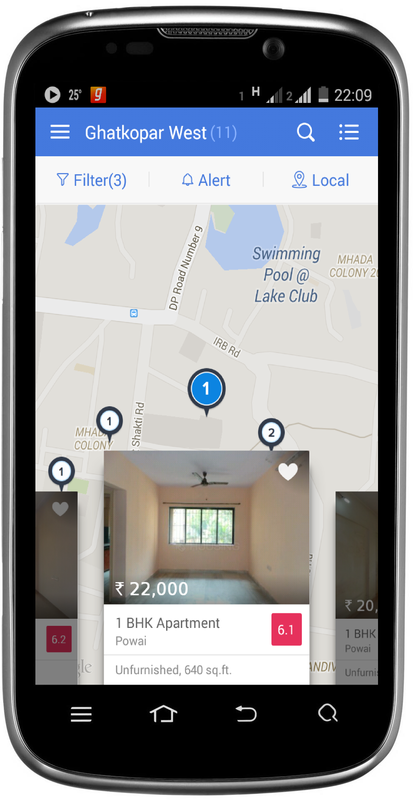 The app fairs well against competitions as far as the core features of house-hunting goes. 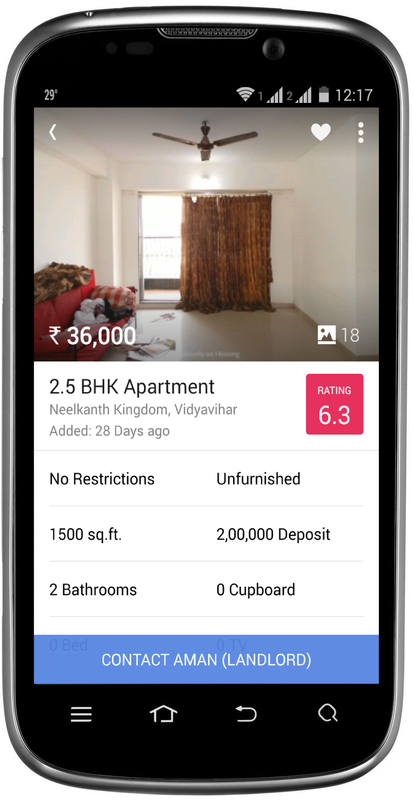 3D models and visual search are 2 features that are available only on the India Property app, but this shouldn’t be a deal-breaker for an average Indian. On a scale of 5, this app definitely deserves a 4.5. OnePlus One vs Micromax YU Yureka: Which Smartphone Should You Buy? 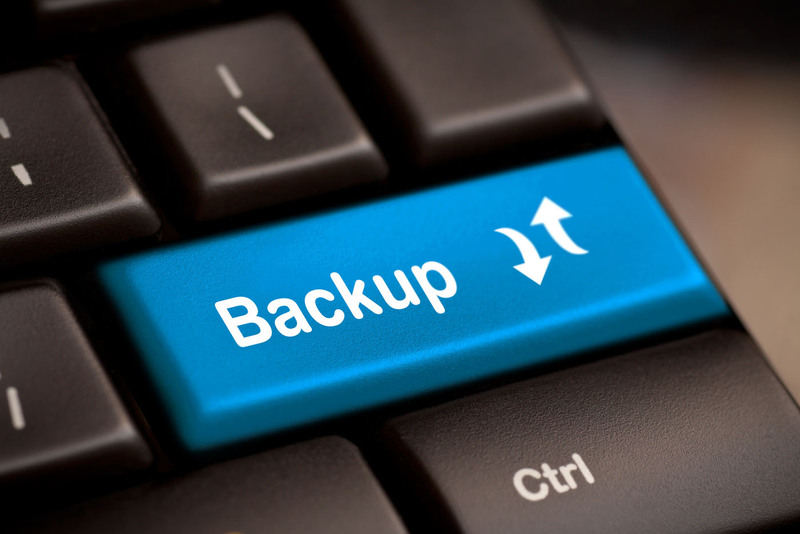 How to Backup SD Card Files on Android?